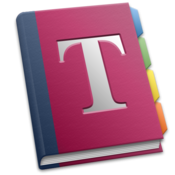 [prMac.com] Swansea, United Kingdom - Reinvented Software today is pleased to announce the release of Together 2.4 for Mac OS X. Together is an application for storing, previewing, editing and searching all kinds of files. Version 2.4 adds support for OpenMeta tags, bookmark file import and bookmark content searching. Together is now also available on the Mac App Store. Reinvented Software was founded in August 2004 by long-time Mac developer Steve Harris who, having wasted 10 years working for other people, decided to dedicate his life to making the best software in the world - software for the Mac. Copyright (C) 2011 Reinvented Software. All Rights Reserved. Apple, the Apple logo and Macintosh are registered trademarks of Apple Inc. in the U.S. and/or other countries.